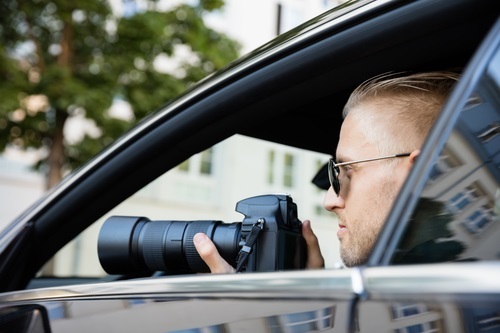 Do you have what it takes to be a Surveillance Investigator?Sherlock Investigations Inc.
Home > Insurance Investigator News > Uncategorized > Do you have what it takes to be a Surveillance Investigator? Do you have what it takes to be a Surveillance Investigator? One of the most amazing things about surveillance investigators, is the diverse background that they all seem to come from. Most found their way through an interest in the criminal justice system, but the eventual routes they take are as varied as the people themselves. In the years I have been working this industry, I have observed people come and go, fail, succeed, and flourish in Surveillance. One of the most amazing things though, is that there is truly no way to know how someone will do as a surveillance investigator before putting them out in the field. Sure, there are some jobs out there that can give you an idea on how they will deal with things. Former military people seem to be especially suited to the “hurry up and wait” mentality that is abundant in both positions. Some jobs even give you the experience of watching over a specific location, watching a specific person, and taking notes on all their daily activities. Former police officers may have plenty of experience in conducting stakeouts and writing up long reports documenting all interactions they had throughout their day. That being said, I have seen people with absolutely no experience in anything related to this field, walk in and become a superstar. I have seen resumes from people that look like they should immediately be among the best of the best, and not get through training, and people you would never expect – college graduates, tire shops managers, oil-rig workers, crime scene cleanup specialists – come in and be among the best you will find. Certain fields will provide a good “backbone” for this line of work and the different aspects involved. Regardless of previous work experiences, education, or background, the one thing that ties all good surveillance investigators is attention to detail, and an interest in providing the customer the absolute best product possible. At the end of the day, our business is really in the customer service industry. People come to us with questions, and it is our responsibility to answer them. Investigators who accept and adopt that mentality, have endless opportunities in front of them. Sound like you? This entry was posted on Tuesday, June 12th, 2018 at 3:37 pm and is filed under Uncategorized. You can follow any responses to this entry through the RSS 2.0 feed. Both comments and pings are currently closed.